Is Nintendo keeping stocks low? Nintendo looking to create a new Wii rush? 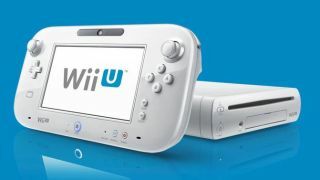 As it stands, there are few observers putting their life savings on the Nintendo Wii U replicating the success of the original Wii. However, it seems eager gamers haven't received the memo, because pre-orders for the next-generation console are beginning to sell out at most of the big box U.S. retailers. SlashGear reports that BestBuy, GameStop and Sears are all out of the $349 bundle which comes with the 32GB version of the console and the new touchscreen 6-inch game pad. Some retailers still have the basic 8GB version for $299, but they're going fast too. A quick check of the major U.K. online retailers, like Play.com and GAME showed no such stock issues, with all bundles, from £259, still available to pre-order ahead of the Nov. 30 release date. It's worth considering that the rapid depletion of stock may be due to Nintendo furnishing retailers with limited units as a means of building demand for the new console. The company categorically denies artificially keeping the original Wii console in limited supply, but for two Christmasses in a row, it was the most sought after gadget on the planet. Parents went going to ridiculous lengths to secure the new motion gaming craze for their kids and it goes without saying that Nintendo would love to see a repeat of that two-year Wii rush.